OAK BROOK TERRACE, IL (September 12, 2018) – Zero Friction, maker of high-quality, technologically advanced products for golfers worldwide, including gloves, performance golf tees, balls and accessories, will be featured this September on Golf 360 which airs on NBC Sports Chicago, the #1 sports station in the Windy City. Golf360 TV offers informative and entertaining television on NBC Sports Chicago. Former Chicago Bear and “nearly scratch” golfer PATRICK MANNELLY is host of the program which has a number of airings every month. The show is produced by Dave Lockhart. 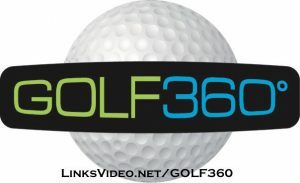 For more information about Golf 360, or to view the entire episode online, please visit: http://www.linksvideo.net/golf360tv/. Two years ago Zero Friction launched a true breakthrough product, the GPS DistancePro™ glove, which comes with a lightweight GPS device on the flap, providing accurate distances for over 35,000 golf courses worldwide. This year the company introduced two new products that received rave reviews at the PGA Merchandise Show. The Cabretta Elite golf glove is an upgrade to the original Cabretta glove released three years ago. The Cabretta leather provides a solid grip in any weather. The reinforced Lycra throughout fingers, back of hand and palm allow for maximum strength, durability, and enhanced breathability. Also new are the Spectra™ matte finish golf balls. Matte finish golf balls are the hottest product in golf right now, as they are easier to see in the air and on the ground, so they speed up play and prevent lost balls. Plus, the bright colors make the game more fun. Spectra matte finish golf balls are also available in blister packs with performance tees, and Supertubes™ that include 10 performance tees, a Performance compression glove, and 3 Spectra matte finish golf balls – everything you need to play golf today for $24.99. Based in Oakbook Terrace, Il, Zero Friction provides high-quality, technologically advanced products for golfers worldwide, including gloves, performance golf tees, balls and accessories. The company established the performance golf tee market, creating the first and only performance tee to ever carry the PGA TOUR logo. Zero Friction’s most recent success story is in the golf glove segment. Zero Friction’s colorful line of compression-fit gloves for men, women and juniors takes the guesswork out of sizing. Compression-fit technology means a universal fit within the various models, and the glove will hold its shape longer than any on the market. To view the entire line of Zero Friction golf products, visit www.ZeroFriction.com.